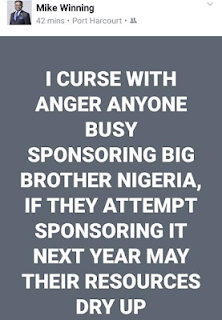 placed a curse on sponsors of big brother naija. Pastor Mike Winning has since deleted his post. 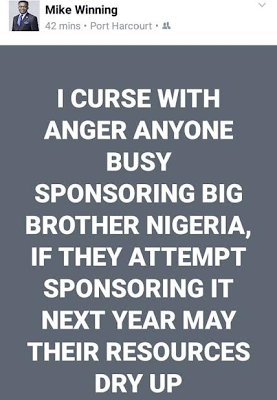 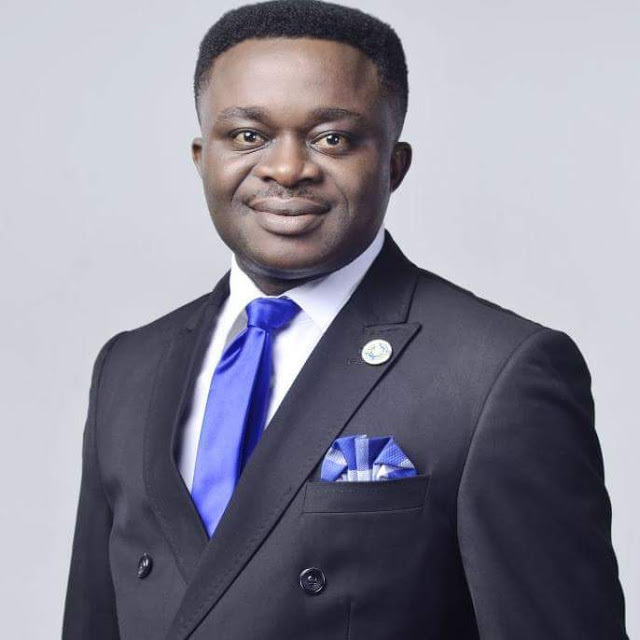 0 Response to "Portharcourt Pastor Places Curse On Big Brother Naija Sponsors"